Every week, we watch in amazement as Joanna Gaines and the hosts on HGTV renovate other people’s homes. They take ugly ducklings and transform them into lavish real estate worthy of a million dollar listing. But where do these stars lay their own heads at night? Are their homes as luxurious as the finished products of those people they help on national television? We have done some digging and found out just how your favorite HGTV stars are living. Are you ready to see the home of Drew and Jonathan Scott? You won’t believe what color Genevieve Gorder is proving is trendy again! The star of Rehab Addict, Nicole Curtis is a fairly private person off camera. The most we know about her home is the pictures she has shared on her social media pages which make one thing clear: she loves monograms. In just about every room, there is something adorned with a monogram. 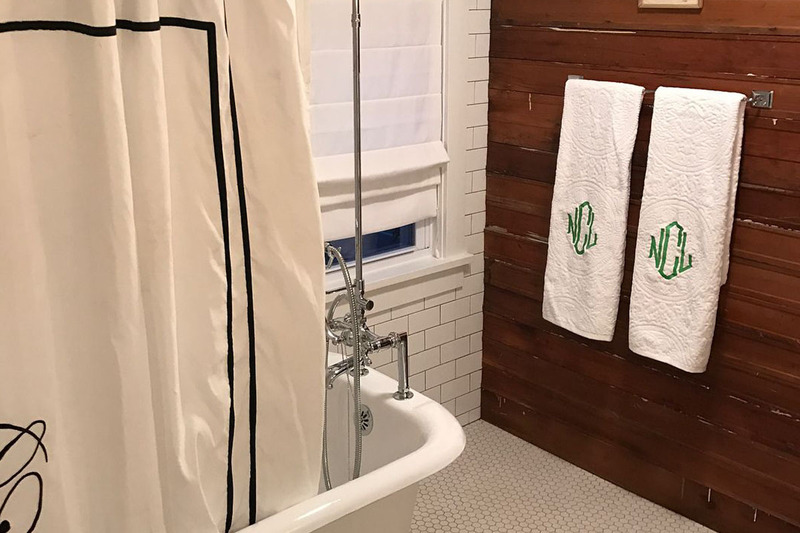 From the towels in the bathroom to the pillows on her bed, it’s impossible to visit the mom of two without seeing her family crest.